Learn how solar works, which sites are most suitable, and what financial incentives are available to help bring costs down. After you attend a free workshop, you can get your free site assessment and participate in Solarize Mercer Island! Learn how solar works, which sites are most suitable, and what financial incentives are available to help bring costs down. 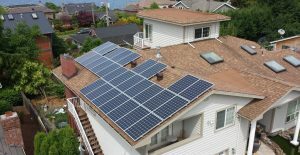 After you attend a free workshop, you can get your free site assessment and participate in Solarize Issaquah! 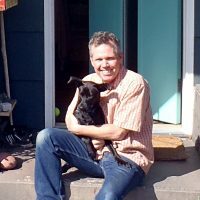 This workshop is an online webinar. Details about how to join the webinar will be sent prior to the workshop. Pickering Barn, 1730 10th Ave. N.W. Learn how solar works, which sites are most suitable, and what financial incentives are available to help bring costs down. 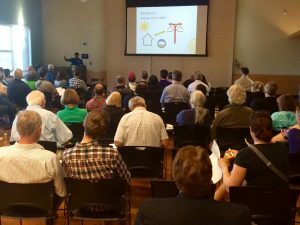 After you attend a free workshop, you can get your free site assessment and participate in Solarize Issaquah! Learn how solar works, which sites are most suitable, and what financial incentives are available to help bring costs down. 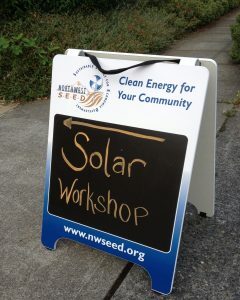 After you attend a free workshop, you can get your free site assessment and participate in Solarize Mercer Island! Join us at Islander Middle School Saturday, September 15th! Online registration is now closed for this workshop, but you can still attend and register at the door. Sunnyside Commmunity Center, 1521 S 1st St. Learn how solar works, which sites are most suitable, and what financial incentives are available to help bring costs down. After you attend a free workshop, you can get your free site assessment and participate in Solarize Mercer Island! Join us at Congregational Church on Mercer Island on Tuesday, October 9th! Online registration is now closed, but you may attend and register at the door. Learn how solar works, which sites are most suitable, and what financial incentives are available to help bring costs down. This workshop will be tailored for businesses and farmers, but homeowners are welcome to attend. After you attend a free workshop, you can get your free site assessment and participate in Solarize South County!